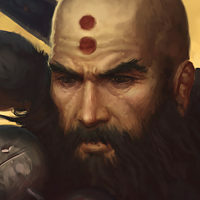 First off, I'm sure many folks are logging on to D3 for the first time in months/years, and wondering WHY their monk doesn't perform like they remembered - attack as fast or generate as many cyclones as they remembered. I guess this thread could be titled: What did they do to FoT? 1. All the generators had their weapon damage % ratios slightly adjusted to account for innate attack speeds. Many runes had significant modifications to make them more attractive. 2. Spirit Generation. All generators had their spirit generated increased and their spirit-on-crit decreased. This was to semi-normalize spirit generation between gear levels and mob densities. Edit: elemental runes updated in 2.0.5! 4. Innate Attack Speeds. All generators have had an innate attack speed bonus for each generator, and it varys between each punch of the 3-hit-combo we should all be familiar with, so an average is listed here. CW in 2.01 Bonus attack speed bonus = 13% = unchanged. 5. Proc Coefficients. Essentially, Crippling Wave, Deadly Reach, and WotHF's proc coefficients were all unchanged from 1.08. FoT's were generally lowered for every rune. Summary: FoT received the most adjustments in speed & proc coefficient, but does high damage and every rune now has the teleport mechanic. Deadly Reach is now our fastest generator and has a 50% knock-up chance. Crippling Wave and WotHF are mostly unchanged. 4) Spirit on Crit runes all buffed ~50% (obvious choice if using generators for spirit generation). The new Strike from Beyond mechanic of 8% reduced cost per enemy hit is semi-interesting, but consider it a pretty massive nerf for spirit management. 5) Redid the damage rankings as they are the most changed for 2.1 and listed below. Searing Grasp is the new DR damage option to compete with Foresight. FoT looks buffed, but keep in mind the first 2 hits are single target, while the 3rd is DIVIDED by the number of targets hit. It is a strong single target generator now however in terms of single target damage. NOTES: Static Charge's proc damage not included. Blazing Fists 15% ias should boost it up several rankings since it affects other skills and utility is not included in the calculations. Same with Assimilation. The new effect of Assimilation is awesome but hard to factor into rankings, as it affects other skills the more than most generators. As you can see compared to the original rankings ( http://us.battle.net/d3/en/forum/topic/11882328396?page=1#13 ) FoT moved up the single target charts considerably, but still sub-par for multi-target. FoF/HoL still tops the charts for damage, but since most monks are going single-element these days, are still some obvious/only options. Assimilation is by far the most interesing new generator which does not show up in the straight rankings, but expect to see it used combined with Mythic Rhythm. All the new FREEZE proc generators will likely be used for Rimeheart builds. I don't see Relentless Assault being a good combination as the freeze durations are far too short to maintain 100% uptime for just a 20% buff. Will test some more tonight! If anyone has any findings from PTR I missed, let me know! Some updated Spirit Generation Rankings for PTR 2.1. So as expected, Quickening's spirit generation is quickly outpaced by RT as soon as you have 3+ targets. At higher levels of crit & number of targets the rate of spirit generation roughly doubles/triples non-on-crit runes. Can update that chart if requested but should be fairly easy to "feel" how fast your bubble fills in combat. With Quickening + Rue, one combo is pretty filling! Can update that chart if requested but should be fairly easy to "feel" how fast your bubble fills in combat. With Quickening + Rue, one combo is pretty filling! 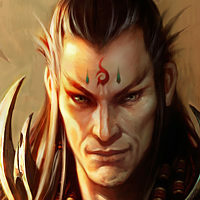 With Rue I have spirit to spend but still no spender to be worth it and lose a lot SOJ dmg. Also losing the dual unity dmg reduction in solo. Yes, those spirit spender is a joke as my OS proc is ~ 25-30M and HOL is doing 1000% dmg with depth digger. Why border spirit generation for spender that only deal 600% dmg? Not quite Generator related, but since many folks will likely be using the new 2.1 Madstone + 7-sided combo combined with RImeheart+FoF, figured I'd test how much they actually buffed its proc rate is for Rime/Frost/Madstone. Of course next PTR version may change things, but as it is, Fulminating seems to be the obvious choice to proc the new Madstone due to the AoE though I haven't had the opportunity to play around with the new madstone yet. But FoF still seems to be king for proccing Rimeheart/Furnace for now! Updated Spirit Generation Rankings for PTR 2.1. Looks like Blizzard is moving away from all Spirit-on-Crit mechanics with the recent change in Quickening & Rising Tide. Now Q is just a flat base spirit per attack of 22 while Risitng Tide returns an extra 3.5 spirit per target hit. As soon as you are fighting & capable of hitting 3+ targets with Rising Tide, RT becomes the top spirit generator, increasing as the number of targets grows. Overall compared to the previous on-crit mechanics, the new change is a decent buff for those under 50% crit, but compared to the recent doubling of passive spirit regeneration options, still don't see generators seeing much action other than as a proc vehicle. Maybe someone will come up with a good Depth Digger / Simplicities / Combination build soon. 2.1 Historical Spirit Generator Reference Guide Below! 2.3 Edit: Note that the following charts are not quite accurate anymore due to the change in FoF DoT Mechanics. But FoF should still be in first by a good margin in similar situations. ** - Bonus Damage from Static Charge Rune is NOT included in the above charts. Per the patch notes, only the first two hits of FoT/CW/WotHF animations were sped up. (above is average. If they had their innate attack speed increased that would be awesome with the new passive, if not, and it is only coming from the passive, then I hope they are prepared for more anger from monks. Innate attack speed changes coming soon to PTR! I'm waiting for you to tell us the final verdict... or if Druin does .. either way I can't wait! Any news on the FOT/TC Proc? These are increases to APS when using these skills? If so, this is insane. Not until we can figure out a good way to determine proc coefficents with the change to LoH. Can't log onto PTR yet so I can't verify. Current FoT/TC's proc is so bad, we probably can feel the change easily once PTR is live. well if those numbers are true then that would make for a very good jump in dps output for generator builds. I really hope that the proc C is improved a lot, I'm sure many will be thinking of really going nuts with their flying dragons with these changes!